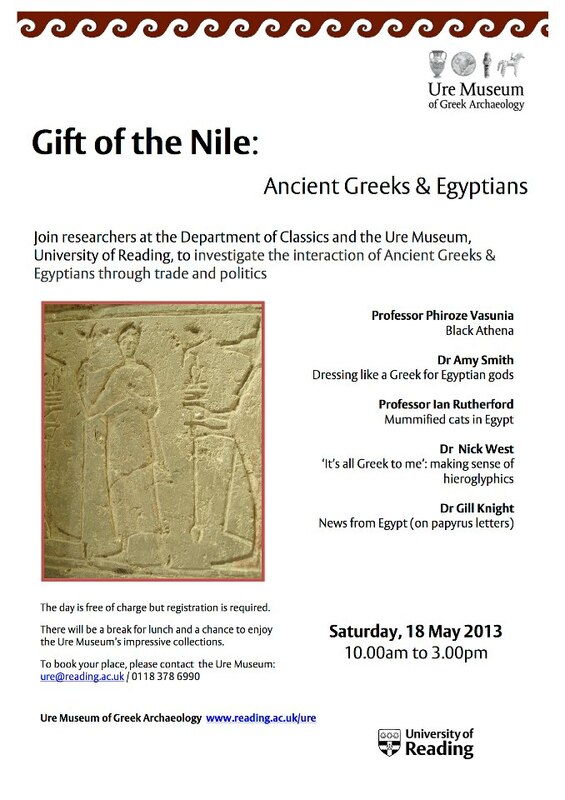 Join researchers from the Department and the Ure Museum as they investigate the interaction of ancient Greeks & Egyptians through trade and politics. Saturday, 18 May 2013. Information: ure@reading.ac.uk. 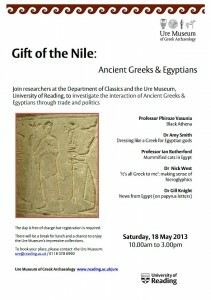 This entry was posted in News and Events and tagged Egypt, Greek, Nile. Bookmark the permalink.